Derek serves as Founder and Artistic Director for Dance4Grandma Theatricals. He received his B.A. in Vocal Performance from Berea College in Berea, KY and completed his studies for a Master's in Music(Music Theatre/Opera Performance) at Southern Illinois University in Carbondale, IL. While attending Berea College, Derek served as the student conductor for the Wind/Concert Ensemble, Featured Jazz Soloist(Sax) in the Jazz Ensemble, and was the Desktop Publishing Technician for the music department(FINALE). After completing his studies at SIUC, Derek has stayed in the Southern Illinois area working in the performing arts. He is currently the Director of Music at First Christian Church of Carbondale, and is the Administrative Assistant for the Marion Cultural & Civic Center, where he manages all office and box office functions. He also currently has a private studio for music instruction. He served Adjunct Voice Faculty at John A. Logan College in Carterville, Illinois. 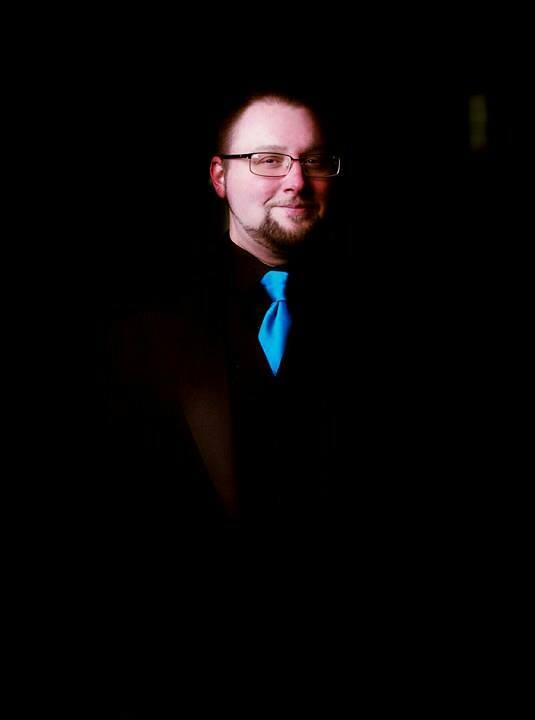 Derek also serves as a Director/Music Director/Conductor for Skyline Creek Production of Marion, IL and Music Director for the recently new 13Theatrics. Studies Abroad(Salzburg, Austria): Music History, Instrumental Performance & Arranging, Choral & Opera Performance. Jenny Wiley Theatre- Joesph and the Technicolor Dream Coat(Asher/Assistant Mus Dir), The Taffatas(Cousin Ricky/Mus Dir/Show Pianist). Directing/Music Directing Credits: CATS, Sweeny Todd:The Demon Barber of Fleet Street, Jekyll & Hyde, Rocky Horror Show LIVE!, The Addams Family, Next To Normal, Anything Goes, Jesus Christ Superstar, Les Miserables, You're A Good Man, Charlie Brown, The Taffetas, AIDA, RENT, CHICAGO, Legally Blonde, HAIR, Songs for a New World, A Chorus Line, Chitty Chitty Bang Bang, Wizard of OZ, Oliver, CATS, Steel Magnolias, Noises Off, Rumors. is thrilled to be working with Derek and the D4G team.